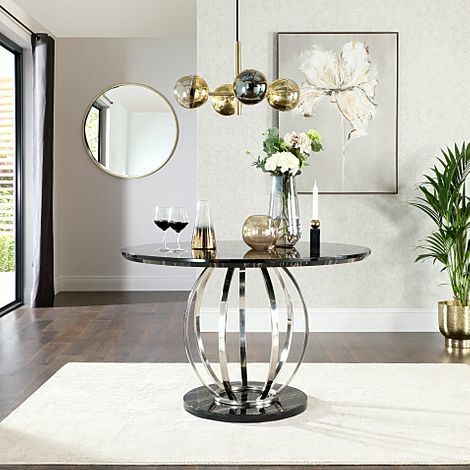 Choose from a wide range of glass tables in square, rectangular and round styles. 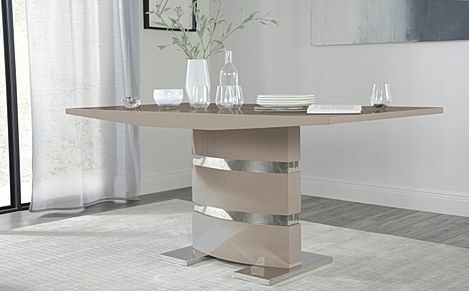 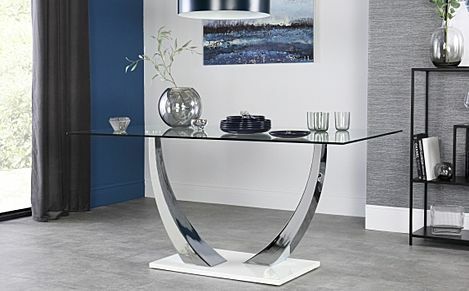 Looking for something stylish and sleek for your contemporary dining room? 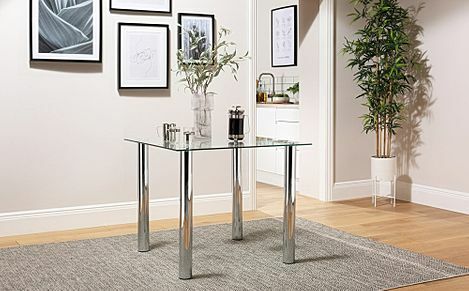 Our chrome tables have got you covered. 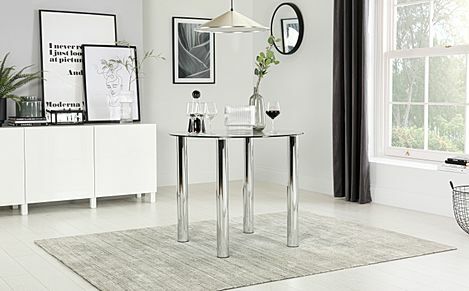 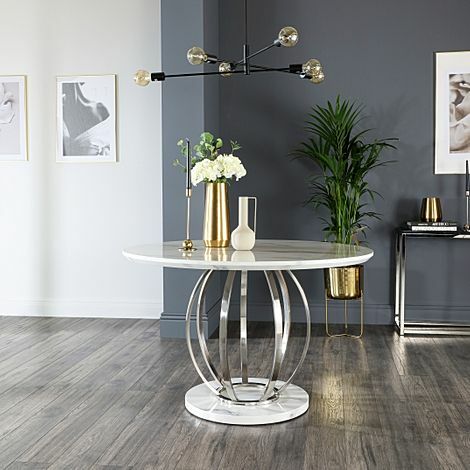 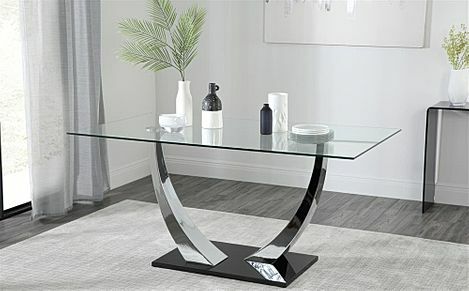 Choose from a wide range of square tables, rectangular tables and round styles, all featuring sleek chrome legs and glass table tops to create a contemporary chic look that can match any modern styling. 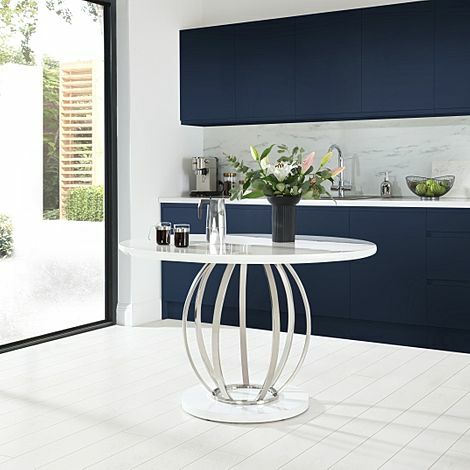 Pedestal and extending options are available to suit any room, allowing for more room for people to gather round. 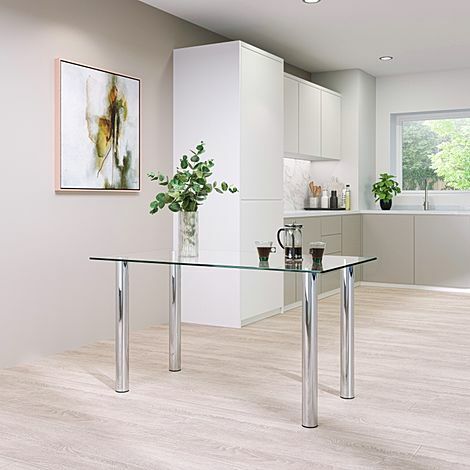 Made to last as well as being easy to maintain, our glass dining tables make a strong design statement without being difficult to care for, just give it a wipe down and you're good to go. 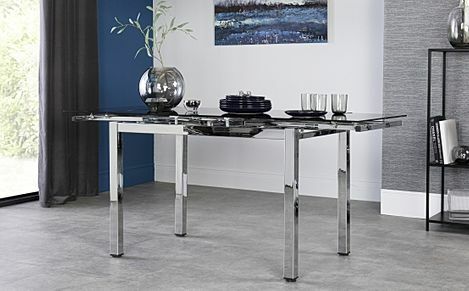 Match it with a set of our dining chairs - we have chrome-legged dining chairs to complement the shine of the glass, or you could also mix and match the look with dark-toned dining chairs or even fabric dining chairs, for something that would suit your style. 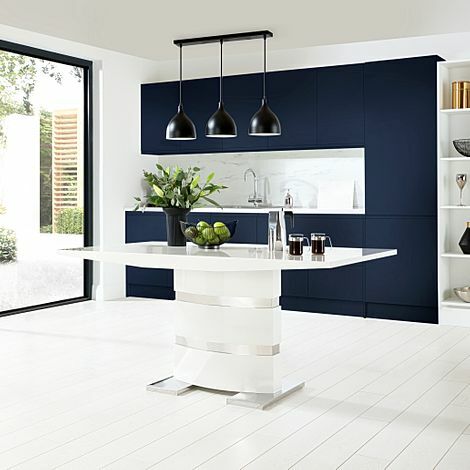 For some advice or if you have any questions, call us free on 0800 035 0070. 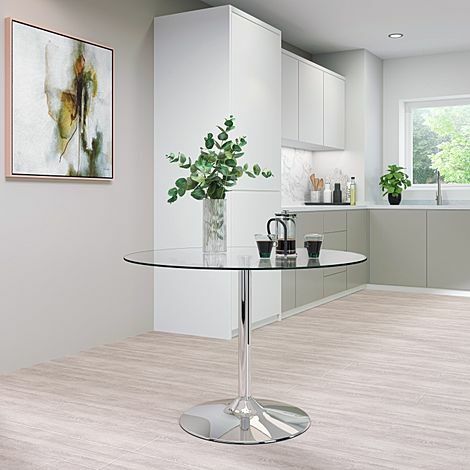 Delivery is free to most addresses in mainland UK.